Pre-registration fee of 90.00 is required within one week prior to event. *Anyone who attends workshops or classes has the option of an in-office appointment within eight weeks. Normal wait time for new, in-office clients is close to three years. Why learn Astrology? This ancient tradition has always been an invaluable tool on many different levels. It has survived and thrived through the centuries. In the past twenty years it has evolved and continues to evolve as we do. I believe we take a, 'Vow of Resolution' and that our Birth Chart reveals what we are to resolve. Any curious being may attend! 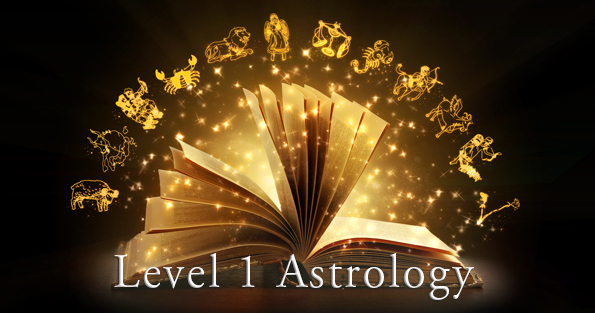 In Level 1, we lay down the groundwork and gain a deeper understanding of the Sun Signs and learn about the power of the Moon in the Signs and Moon phases. We also take a good look at the all-important Ascendant. We explore Mercury (Planet of communications) and its real role in your life. And we have to include Venus, the Planet of love, beauty and the arts. If time allows, we will bravely delve into Mars and begin a journey further out and include Jupiter, Saturn. The classes are both intense and fun, practical and profound.